In contemporary architecture, “landform building” is much more than just a formal strategy. New technologies, new design techniques, and a demand for enhanced environmental performance have provoked a rethinking of architecture’s traditional relationship to the ground. 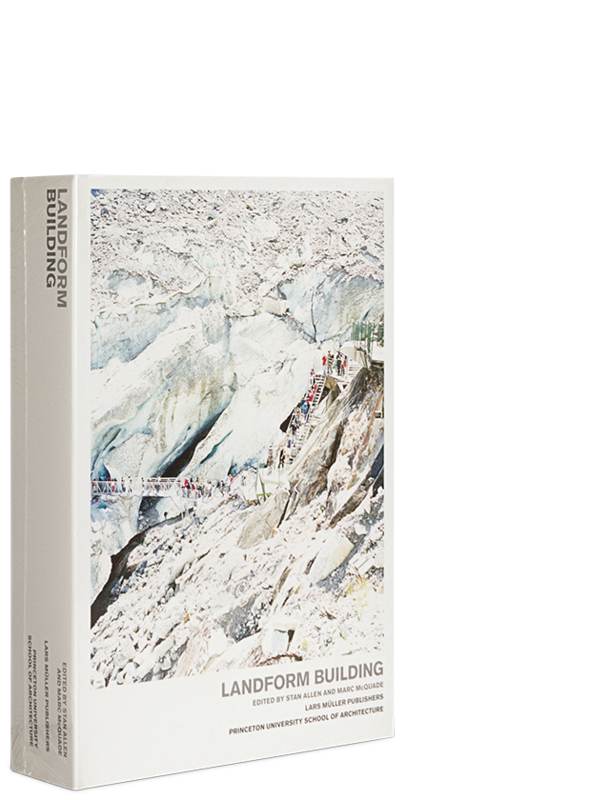 Landform Building sets out to examine the many manifestations of landscape and ecology in contemporary architectural practice – not as a cross-disciplinary phenomenon (architects working in the landscape) but as new design techniques, new formal strategies, and technical problems within architecture. The book offers a comprehensive overview of the subject and documents current projects with illustrations and maps. It presents work by Iñaki Ábalos, Tacita Dean, Steven Holl Architects, Junya Ishigami, Toyo Ito, Tsunehisa Kimura, Atelier Peter Kis, Mansilla+Tuñón, Michael Maltzan, Adam Maloof+Situ Studio, Giancarlo Mazzanti, Walter Niedermayr, Ryue Nishizawa, Dominique Perrault, Philippe Rahm, and Chris Taylor. Essays by experts complete this work of reference. With contributions by Stan Allen, Michael Jakob, Kenneth Frampton, Reyner Banham, David Gissen u.a.